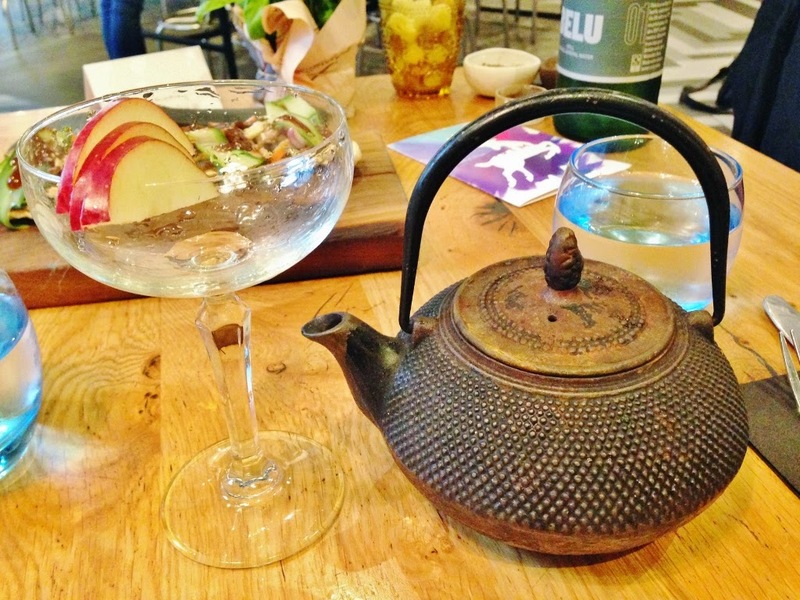 I was invited to experience what was on offer at The Happenstance Bar in central St Pauls. 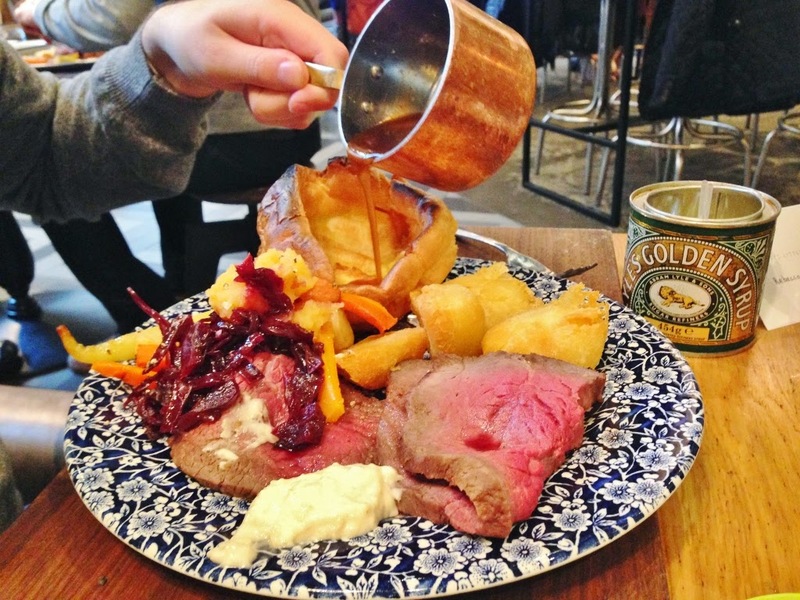 Living south of London close to the countryside there's lots of pubs at hand to offer a scrumptious Sunday lunch, so really there's no need venture anywhere else. The vibe at The Happenstance Bar was really welcoming. As soon as we arrived I noticed how bright and airy the decor was, this spacey cocktail bar and restaurant features bold lighting, floor-to-ceiling windows and an uncovered industrial style roof. This place really has some personality. 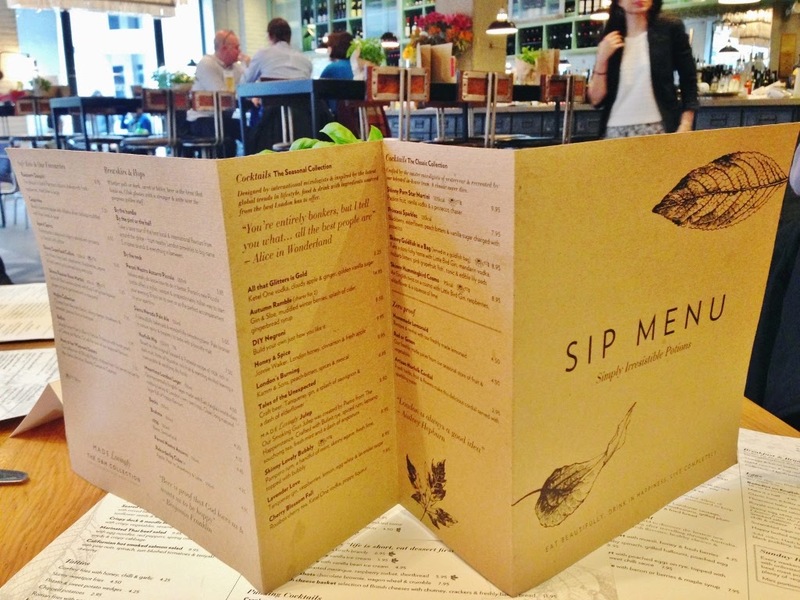 We started off by exploring the 'sip menu' and the mixology orientated concoctions on offer.. I must say as soon as I spotted 'goldfish in a bag' I knew this was going to be 'an experience'. We were offered a small sharing flat bread to fire up our taste-buds. 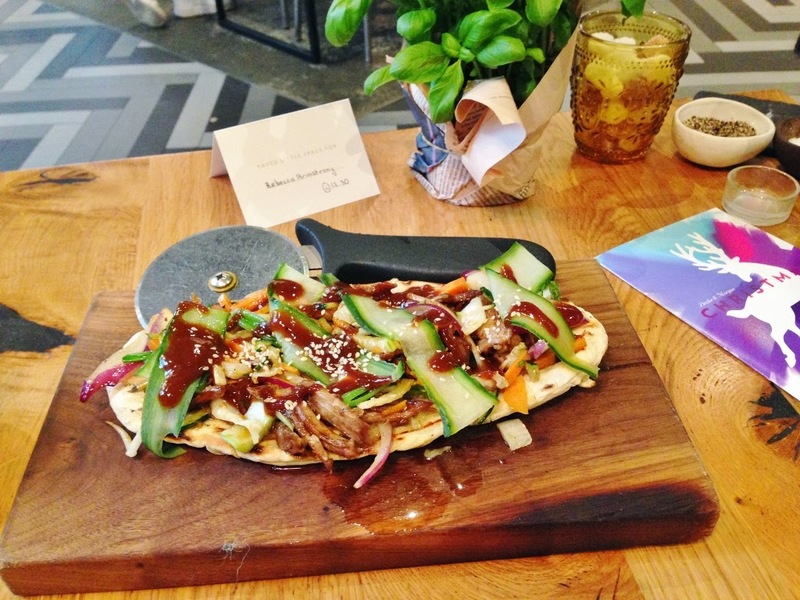 We went for duck flat bread with hoisin sauce, spring and red onions and cucumber. Duck and hoisin is always a favourite combination of mine, so I was eager for it to please, and it really did. The hoisin sauce was surprising light and it proved the perfect appetizer before our rather large Sunday roast (little did we know). It was a great suggestion from the staff. We were then prompted to select some cocktails from the sip menu. For me cocktails and a Sunday roast is not generally something I combine, it was a very new experience, however one I was not going to turn down! 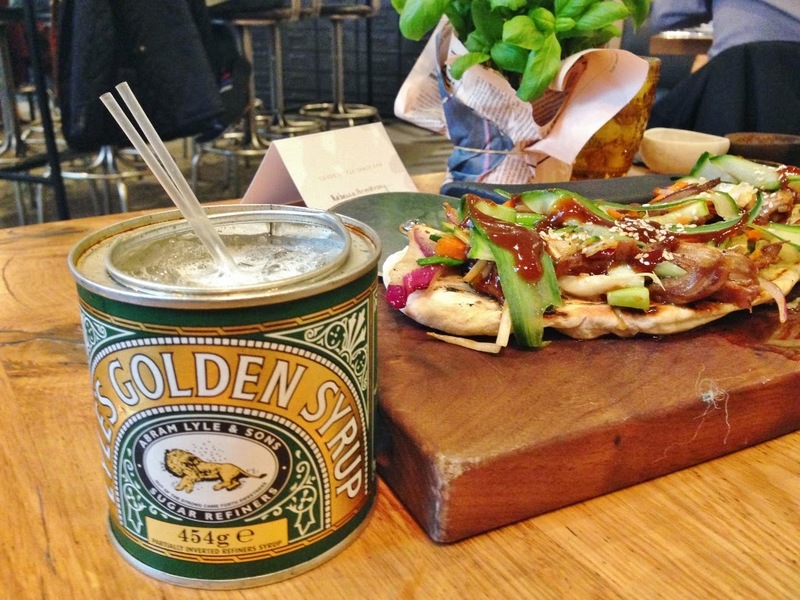 Alex tried the 'Tales of the Unexpected'(above), this rocked up in a classic golden syrup tin. This cocktail was a mix of beer, gin, wine and elderflower and it was bloomin' marvelous! For me its always about the experience factor, if my food can be enjoyable and also involves an element of interaction or quirky design.. I'm sold! 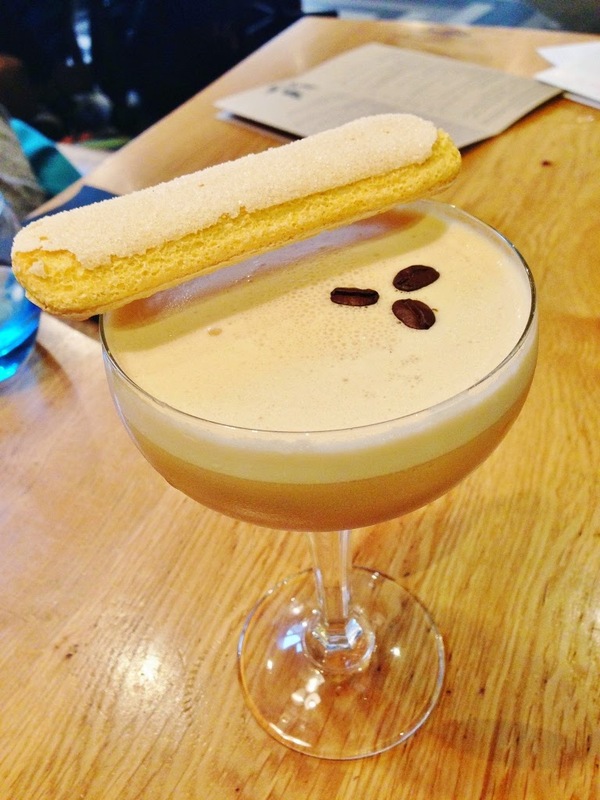 Its the thought and creativity behind the presentation of the food and drink which really adds an excitement value. (Or maybe I just get far too excited eating). Anyway.. I would have never have thought to put these 4 ingredients together and was pleasantly surprised. 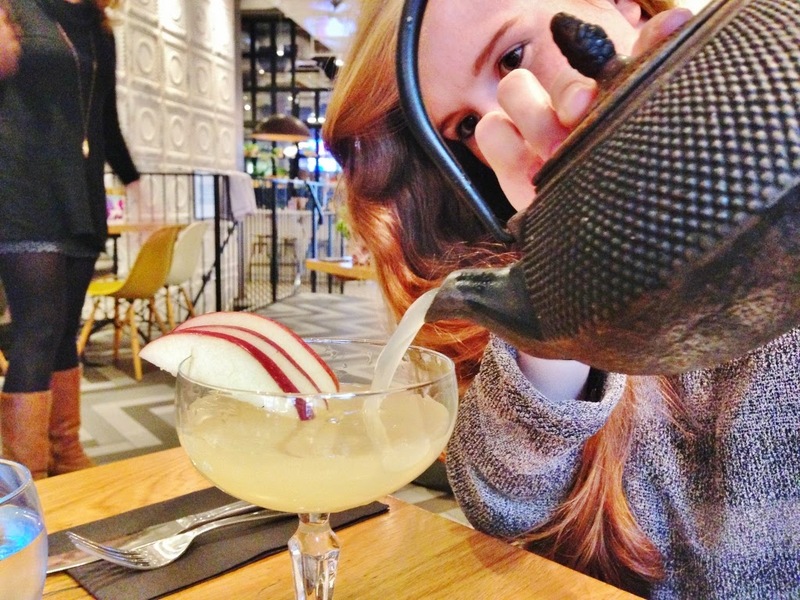 I on the other hand, went for the 'All that Glitters is Gold' cocktail, which arrived with its very own pouring teapot. 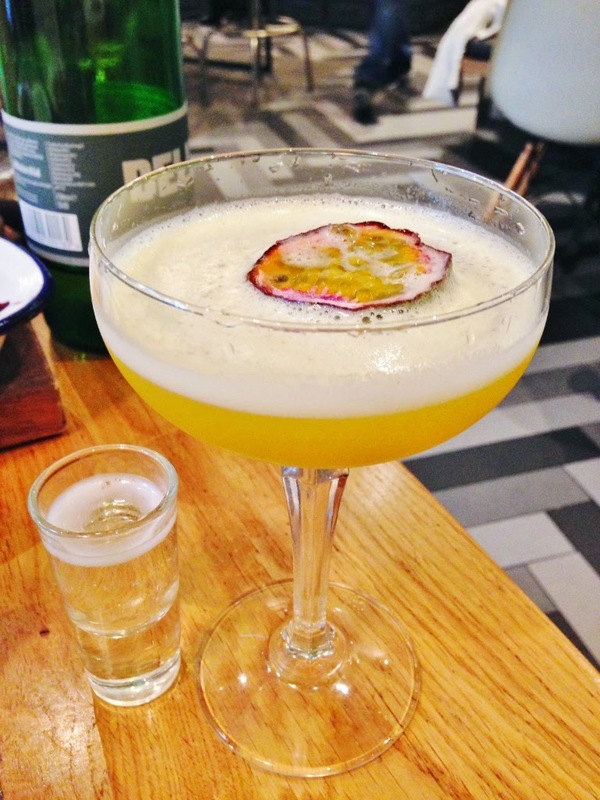 You definitely feel like your getting your money's worth in portion size with this cocktail! It was delicious, and frankly I thought it tasted like ginger beer.. I told the waiter who I think was a bit confused by my judgement on the cocktail.. It contained cloudy apple and ginger so I guess I'm not too far off! After nibbling on our flat breads and being wowed over by the innovative cocktails we were ready for the main event..
As you can see, our roast portion was in abundance.. plates filled to the brim with thick slices of beef (it could have easily been steak), piled high with a huge fluffy yorkshire and melt-in-your-mouth potatoes. If this wasn't enough, we had a side array of veggies. This was seriously delicious and great value for money. 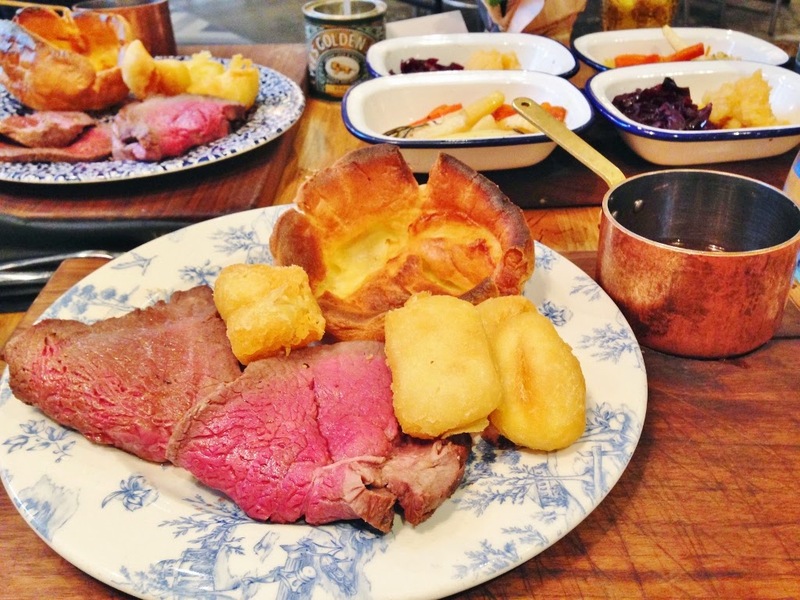 Sitting in central London devouring a huge roast, you really can't go wrong paying £12.95 each. I'd be worried if you weren't impressed! 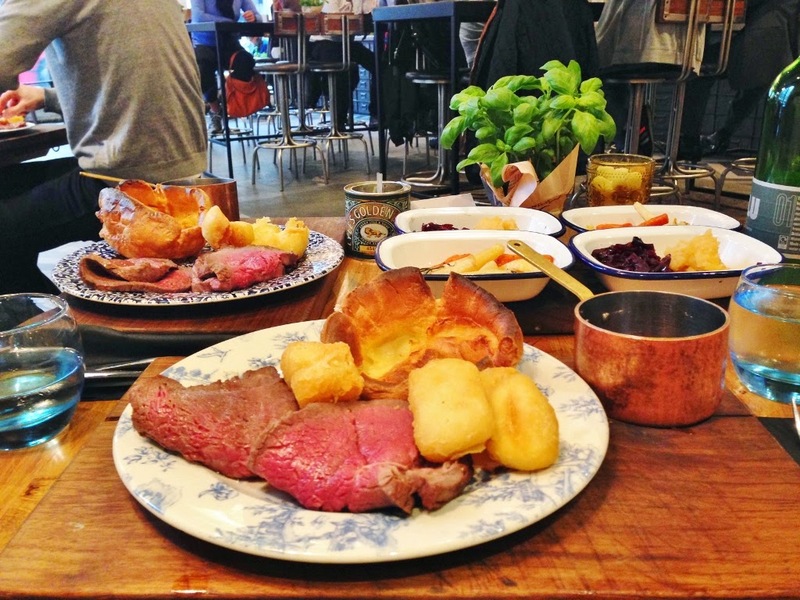 As you can see, the roast was huge and packed to the brim with colourful goodness. Next, it was time to sample some more cocktails. After having a rather disappointing run in with a rather rubbish Pornstar Martini at TGI Fridays I was keen to revive my 'Pornstar' experience (hehe). I choose a 'Skinny Pornstar Martini' from the classic collection. Not only was it 105 calories, it was easily the best Pornstar Martini I have ever had,(no exaggeration). The vanilla vokda really came through and I definitely drank this far too quickly. There was no stopping me, I was on a roll. Already very impressed with the two cocktails I had tried, I'd be silly to reject a third. 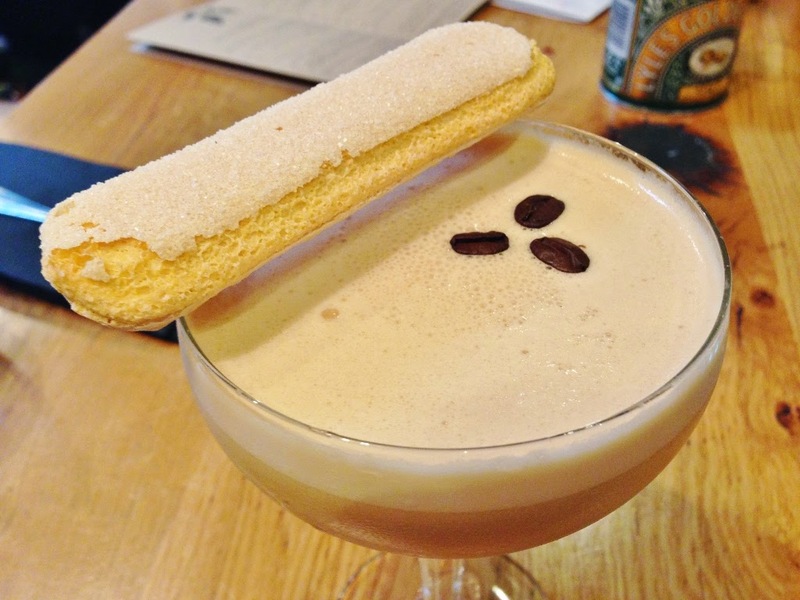 This time I choose a Pudding cocktail, the 'Tiramisu Martini', I may as well have been eating a Tiramisu - it was THAT good. We really don't know when to stop. I think me and Alex were enjoying our experience far too much that Alex wanted to top off the afternoon (we peaked too early!) 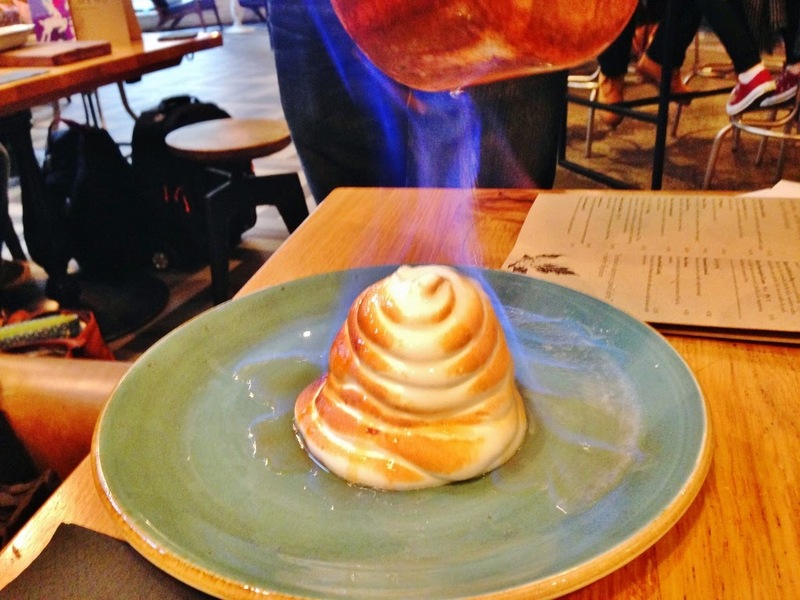 with Baked Alaska Pudding which arrived quite literally.. in flames. It was smooth, and scrummy and tasted of marshmellows. I've never had a Baked Alaska before, only relation I can make is to the Ben and Jerry's ice-cream and it tasted pretty similar. All in all we had a fab afternoon - a very different Sunday experience, but one I would definitely repeat. The food and drinks on offer were delectable and the individual experience factor of each really added the extra finishing touches. 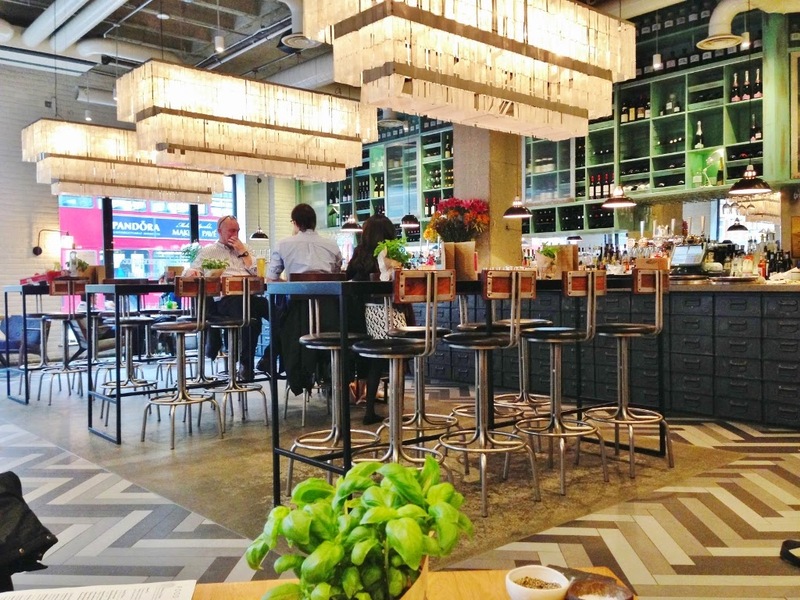 I wouldn't hesitate to suggest you visit the Happenstance bar.. There's more than this, I just picked a few I've heard about and would like to visit. 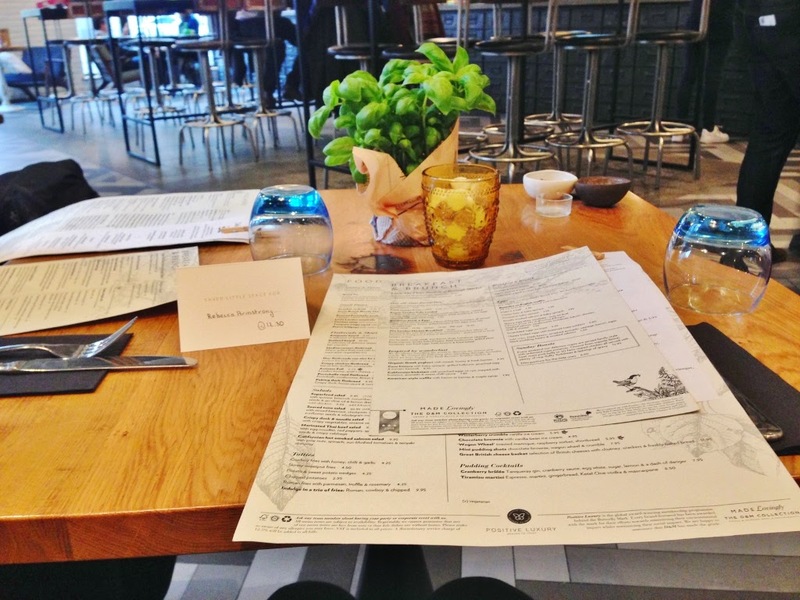 I hope you enjoyed reading this review as much as I enjoyed writing and re-living this culinary experience. It looks amazing! I am from Surrey so its hard to find the kind of country pub that im used to in London! Absolutely incredible. The meat is cooked PERFECTLY, and those cocktails! 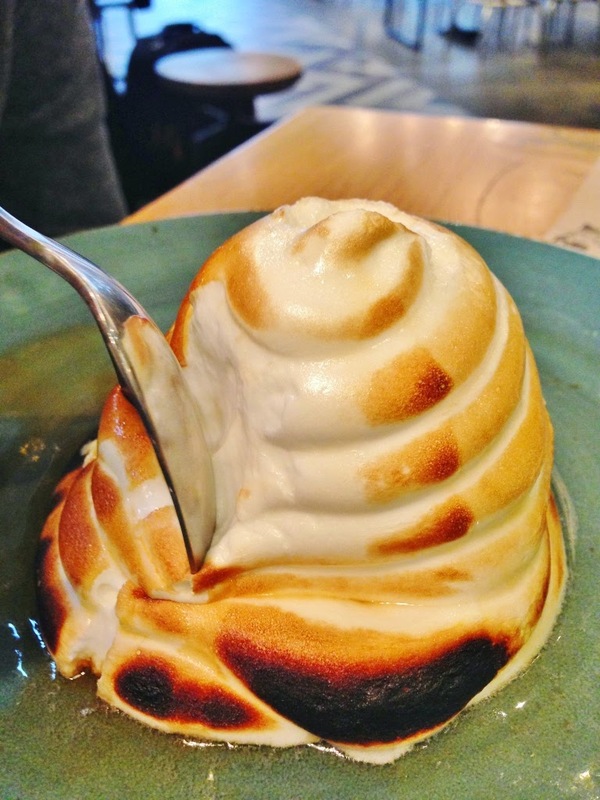 That Baked Alaska!